Announcement Welcome to the Tracey Lipman Collection of handmade phone bags, family passport holders, travel wallets, pocket aprons, yoga mat bags, diaper and stroller bags. 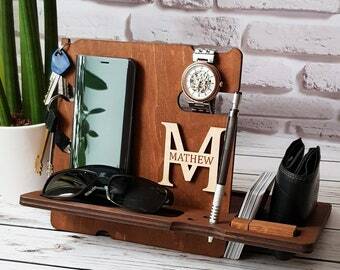 If you are looking for a fun and stylish way to keep your essentials close by and easy to reach you are in the right place. 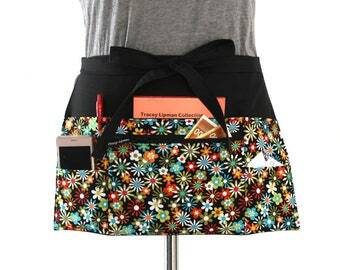 My line of half aprons with pockets are designed for teachers, vendors, event organisers, waitresses, stage managers or anyone who wants to be able to find what they need when they need it. Add pockets to any outfit and choose a fabric to match your branding or personality. 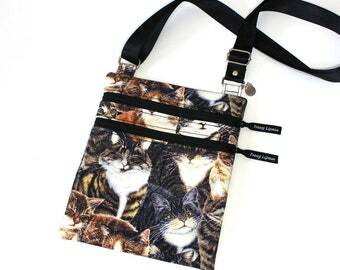 Keep your phone close by and your hands free with my line of cell phone purses. They are so lightweight and comfortable you can forget you are wearing them, until your phone rings! Then you will fall in love with the design as you lift the flap to get to the front pockets or reach for your phone. If you are looking for a family passport holder to organise your travel documents and hold more passports than an average travel wallet, you are in the right place! My line of passport wallets are designed to hold from 2-12!! passports with room for your boarding passes and travel documents. 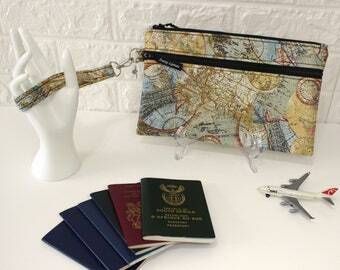 Check out the fabric range too, from travel themed to just fun there is something for everyone. I have designed a product line where stylish can be practical too. The pockets are where you need them, the seams are enclosed so you can't see them, a design that makes sense. Come see for yourself and put the FUN into functional and style into practical. You deserve more than just a bag .... look for a pocket full of possibilties. What will you put in yours? 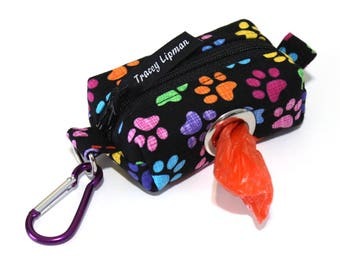 Welcome to the Tracey Lipman Collection of handmade phone bags, family passport holders, travel wallets, pocket aprons, yoga mat bags, diaper and stroller bags. Love it! I will use this apron while vending at comic conventions, so the multiple zippered pockets will come in handy when keeping money organized. The straps are long enough that I can wrap it around my waist in such a way that it will stay securely on. I am very happy with this purchase and can't wait to use it at my con later this month. 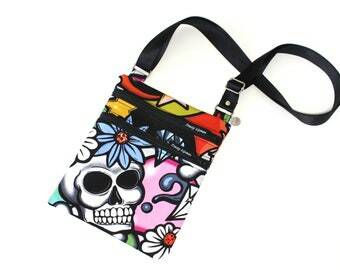 I have been asked a few times to make a skull bag. When I found this gorgeous fabric I knew it was the one to use. I love this new phone bag, if you love it too I have just listed it. I love this gorgeous music fabric!! 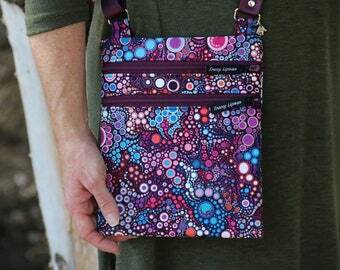 Isn't this small crossbody bag the perfect gift for the music fan in your life? Timeless and effortlessly stylish, you can't go wrong with black. 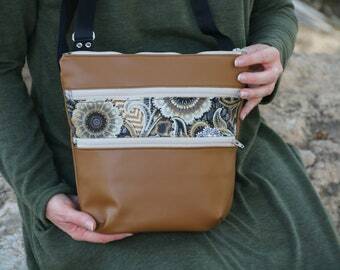 This medium sized vegan leather purse is the perfect gift for her. 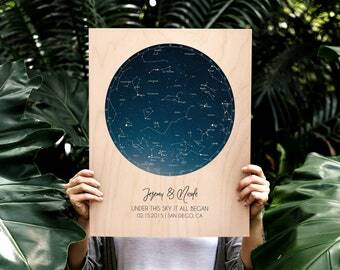 She will love it, and love you for gifting it to her. A great design involves a thought process and a fusion of quality components sourced worldwide. Each piece is lovingly cut by hand, to showcase the fabric design and then carefully ironed and bonded with interfacing. And then I sew ..... bringing each piece together to make a final product you will love. Extra love is in the details, the grommets on the cell phone purses, the tibetan silver charms on the passport holders. When I am happy that you have the best quality item I can provide I will pack your order and send it to you. I grew up with a talented artist for a mother so I guess you can say it's in the genes. When I was 12 she gave me her old sewing machine. I loved making soft toys as a child and then when I had children of my own I started to sew for them. I made curtains and accessories for their rooms, clothing and dress up costumes. When my 4th was born I still had not found a diaper bag I was happy with. During long nights of nursing I designed a bag that would do everything I wanted it to do. With a toddler on my knee and a baby in her swing beside me I sewed together my first diaper bag. As I used my bag I worked on the design. 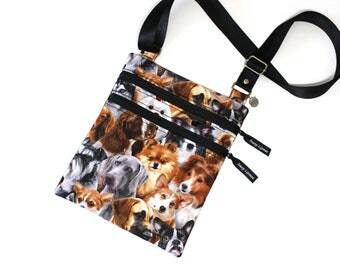 I created new versions until I finally had a diaper bag I was happy with and I found other people wanted one too! As my daughter grew my range expanded to include items as her needs and mine changed. A changing mat that could be put in the washing machine AND the dryer. A pretty wallet to hold everything I needed in organised pockets. A passport holder to hold all our duel nationality passports. A cell phone bag for the quick(ish) carpool dash. 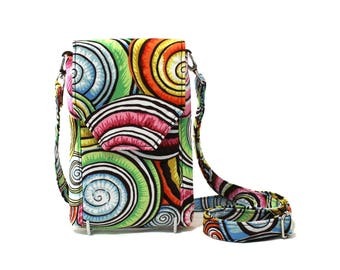 Stylish purses and handbags with lots of pockets. Each product is based on the same principle. I use the first of a new design and adapt and change the pattern to make it more functional, whilst never compromising on the style. A great design does not just happen, it takes a thought process. It involves a fusion of quality components sourced worldwide, brought together with care and attention. 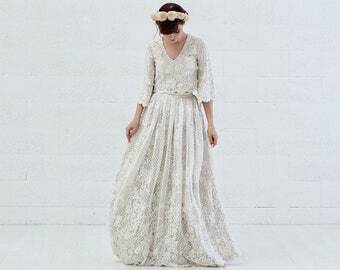 These are lovingly cut by hand, piece by piece to showcase the fabric design. They are then carefully ironed and bonded with the appropriate number of interfacings for each section of the finished product. And then I sew ..... bringing each piece together to make a final product you will love the look of as much as you will love using. All the items in my shop are handmade by me, at every stage, with no outsourcing. I am a work at home mum, Blessed with four wonderful children. I am lucky enough to be doing what I love, being with my kids and designing and making clever accessories for my smart customers. • Service providers. I engage certain trusted third parties to perform functions and provide services to my shop, such as delivery companies (Postal Service Providers and delivery companies, for example). I will share your personal information with these third parties, but only to the extent necessary to perform these services. I may store and process your information through third-party hosting services in Israel and other jurisdictions. As a result, I may transfer your personal information to a jurisdiction with different data protection and government surveillance laws than your jurisdiction. If I am deemed to transfer information about you outside of the EU, I rely on Privacy Shield as the legal basis for the transfer, as Google Cloud is Privacy Shield certified. For purposes of EU data protection law, I, Tracey Lipman, am the data controller of your personal information. If you have any questions or concerns, you may contact me at familylipman@gmail.com.